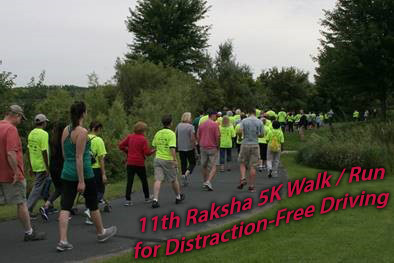 NorthstarMLS will be an event sponsor again for the Raksha Walk/Run for Distraction-Free Driving in Hugh Trimble’s honor, our former Rules & Regulations Administrator. The event is on Saturday, August 11th (Registration Info & Schedule of Events Below) and is open to the public – including ALL NorthstarMLS subscribers! NorthstarMLS will also have an employee 5K team participating in the walk. Join us if your schedule allows! Proceeds from the 5K Walk/Run benefit the Shreya R. Dixit Memorial Foundation, a local nonprofit organization dedicated to educating the community on safe and distraction-free driving. More information on the run/walk can be found here.